This pattern is created with RSL. 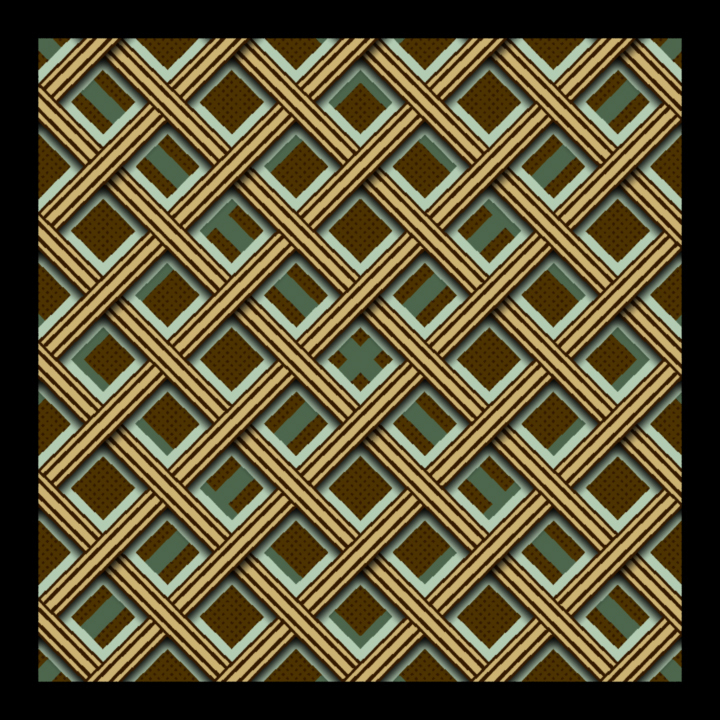 It is an example of the use of RSL programming language to create textures from scratch. The pattern is inspired by West African clothing designs.